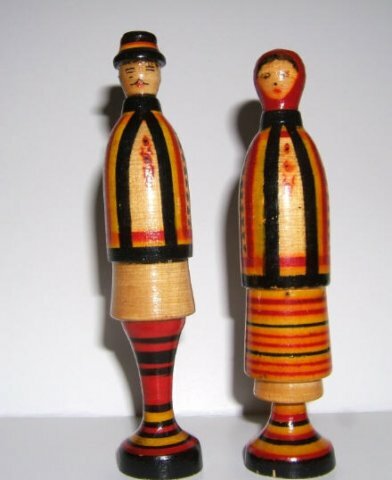 This pair of solid 5” spindle dolls is a traditional Ukrainian Hutzel couple in traditional dress. The tall, slender dolls are solid dolls turned on a lathe like spindles. Purchased in Poland, these dolls are an unusual find and a nice addition to the Ukrainian Couple nesting dolls of this style.